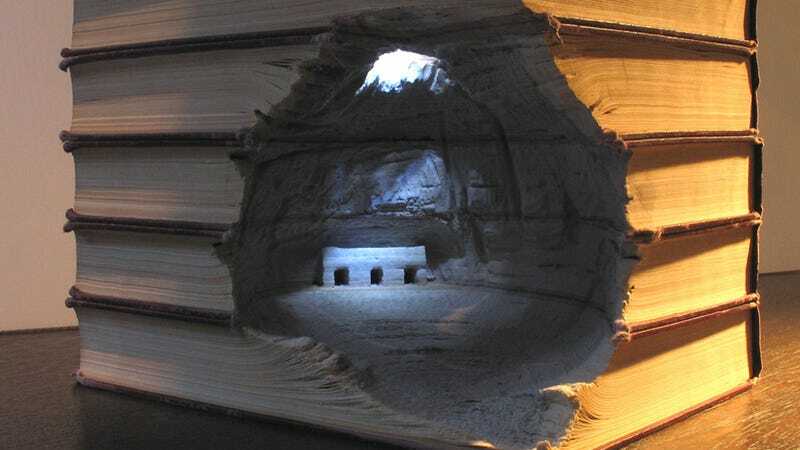 Among other things, Guy Laramee makes sculptures from books. They are amazing, from the level of detail and the textures to the way he presents them. Some of them have a magical aura, like this one, titled Book People.